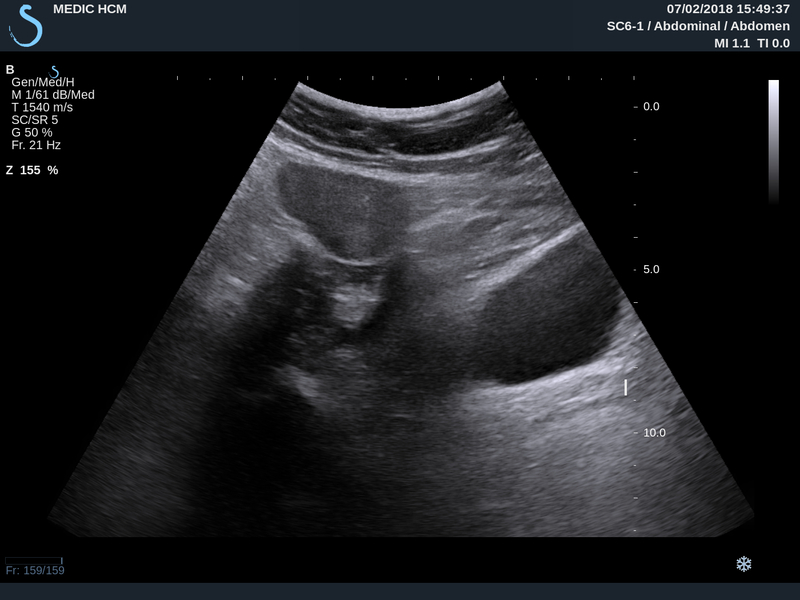 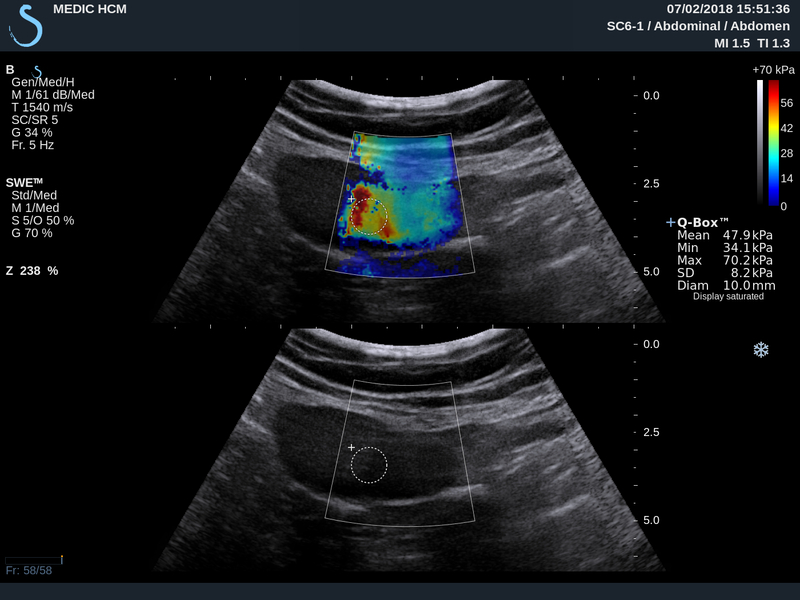 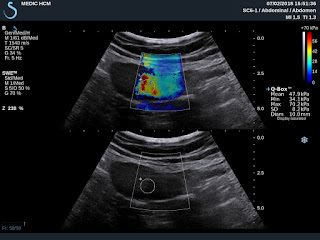 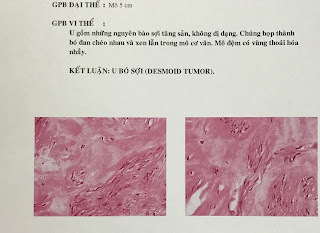 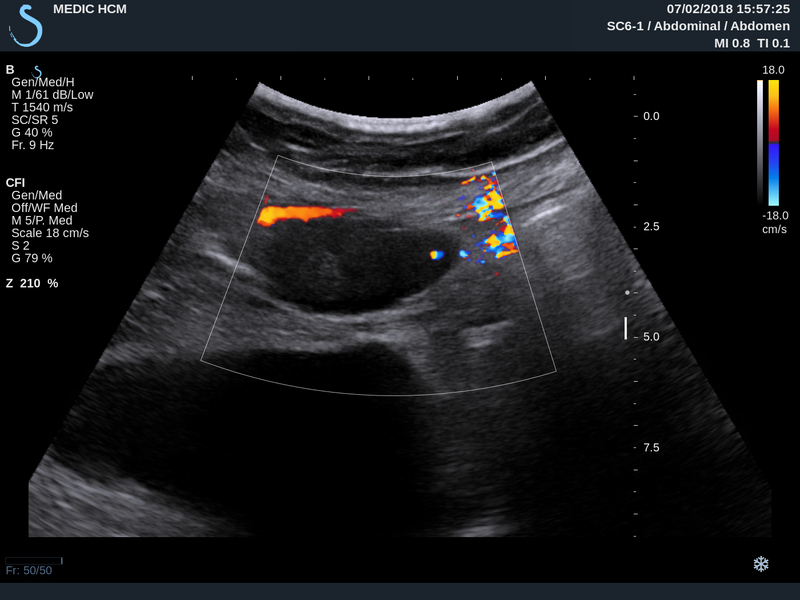 VIETNAMESE MEDIC ULTRASOUND: CASE 476: ABDOMINAL WALL TUMOR, Dr PHAN THANH HẢI, Dr VÕ NGUYỄN THỤC QUYÊN, MEDIC MEDICAL CENTER, HCMC, VIETNAM. 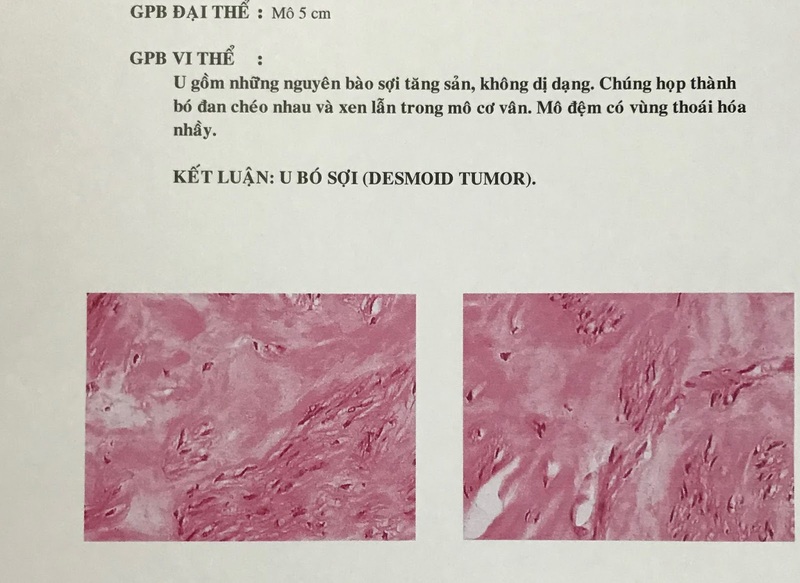 CASE 476: ABDOMINAL WALL TUMOR, Dr PHAN THANH HẢI, Dr VÕ NGUYỄN THỤC QUYÊN, MEDIC MEDICAL CENTER, HCMC, VIETNAM. 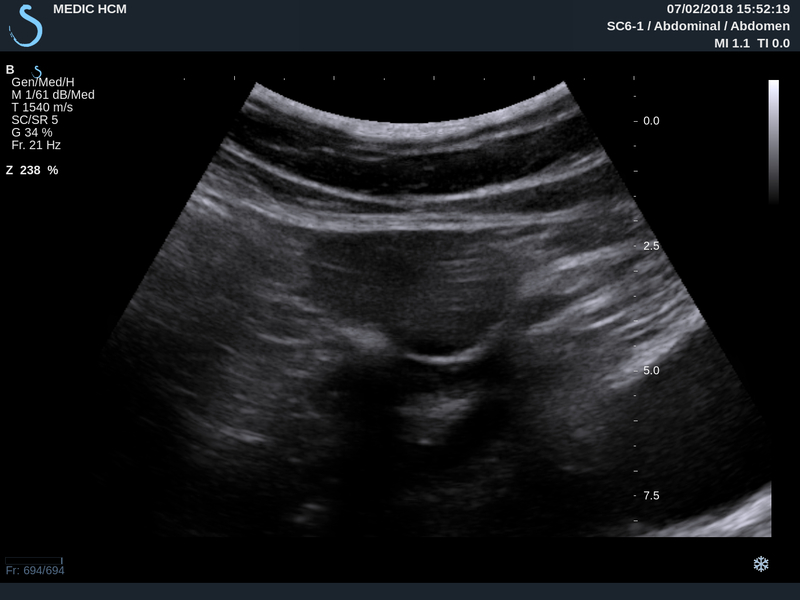 Woman 60 yo in general check- up, ultrasound of abdomen detected one mass 6x4 cm at RLQA. US 1: longitudinal scanning over pelvic region disclosed one mass near urinary bladder. 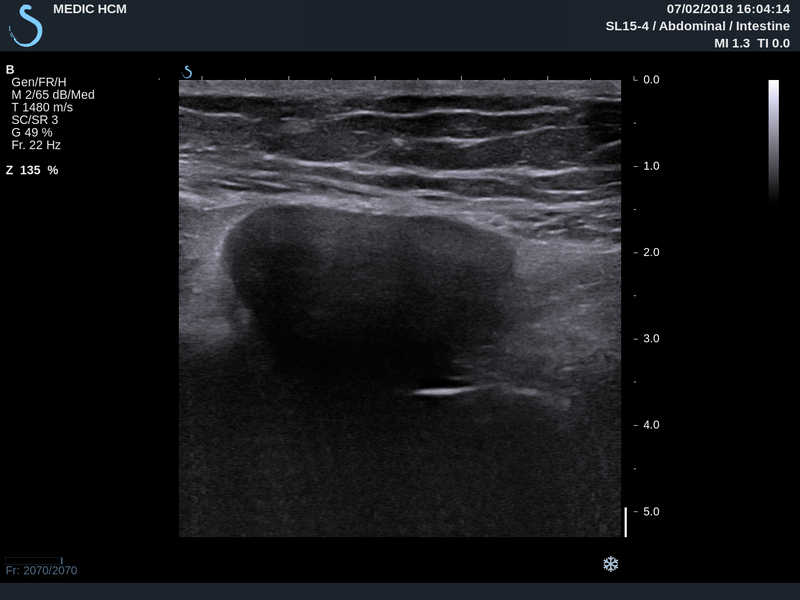 US 2: crossed –section of hypoechoic mass, well bordered, no change position when patient moves to lateral decubitus. 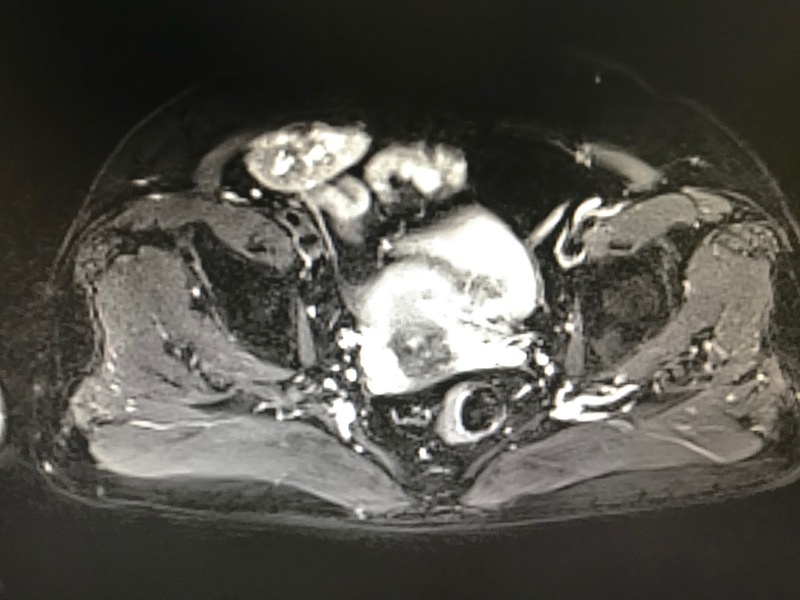 US 3: CDI = hypovascular mass. 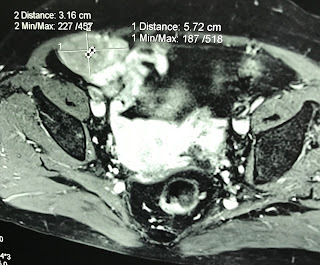 The vascular supply of tumor from the abdomen wall. 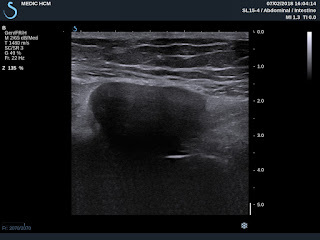 US 4 : linear probe presented the tumor and abdominal wall. US 5: elastoscanning of inhomogeneous structure of tumor. MRI with gado: 3 position scannings of this tumor . Radiologist says mesenteric tumor. 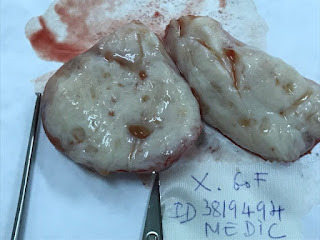 Laparoscopic operation: This tumor is extra peritoneum. Macro view looked like Desmoid tumor. 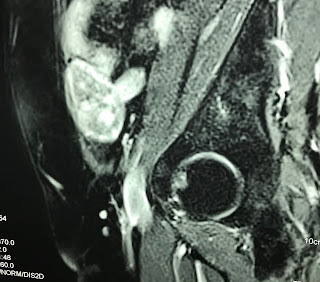 MICROSCOPIC PATHOLOGY REPORT IS DESMOID TUMOR.